It is autumn 1943 when German forces invade the peaceful vineyards and olive groves of Giovanna Bellini’s village in Tuscany. At first, the seventeen-year-old finds herself fascinated by the dashing Nazi officers. She has yet to come face-to-face with the harsh realities of war. Her life changes when her brother joins the partisans and recruits her to smuggle food. What begins as a lark takes a drastic turn when she’s asked to hide a wounded freedom fighter, for Mario Rava is not just a partisan–he’s also a Jew. What attracted you to write during this particular era and setting? I was inspired on a trip to Italy. Some friends invited us to accompany them to meet the man who sold them olive trees for their land in Sonoma. He invited us to stay for lunch, and after the meal, our host began to reminisce about his mother at the end of World War II. The Nazis had taken over their villa (the one we were sitting next to) and forced the family to live in small rooms at the back. After the war, our host’s mother (then 17) fell in love with the translator for the Allied soldiers who had liberated them, a much older Jewish man. Despite all the family had suffered under Nazi occupation, her father objected to their marriage on the grounds that her lover was Jewish. The irony of that struck me and wouldn’t let me go. I came home burning to write, and The Golden Hour is the result. Of course the story ended up being much different from his, but that was its spark. 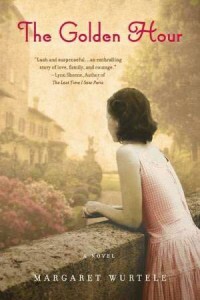 Does your own family have a history with WWII Italy, and did it affect or inspire any of the characters in the book? I was born in November 1945, a few weeks after the end of the war. My father had a bad case of phlebitis in his leg, so he was not allowed to fight. “Save your kisses – I’m 4F,” he telegrammed my mother, who was relieved that he would be safe and they could get an early start on married life. The war was part of their lives in other ways: saving stamps to purchase meat and butter; shortages of their favorite brand of cigarettes; gas rationing and, of course, anxiety for friends and neighbors. I heard these stories growing up, and the war loomed like a large cave from which I emerged. I think I’ve always wanted to connect with it in some deeper way. There was no family connection with Italy, and none of the characters is based on my own family – in fact, the novel’s father-daughter dynamics are very different from my own. I actually don’t read a lot of historical fiction! I have loved the historical novels of Thomas Mallon, in particular – Dewey Defeats Truman and the one about Lincoln’s death. 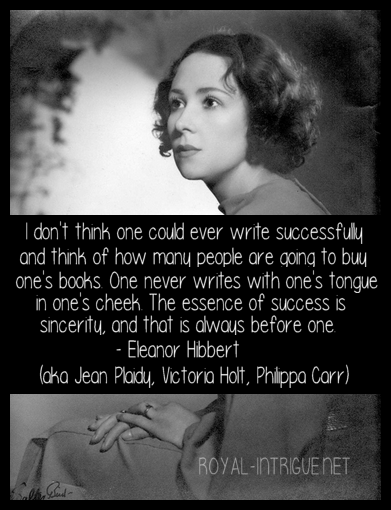 I read a lot and admire so many writers; it is really hard for me to pick favorites. I love the classics and am partial to contemporary fiction. Some authors I have recently enjoyed include Jeffrey Eugenides, Lorrie Moore, Tea Obreht, Julia Glass…. What was your research process? Did you travel to Italy or explore any sites in particular? I read a great deal about the war in Italy, finding myself attracted in particular to first-person narratives – journals or memoirs – by people who were there, who lived through the war. Iris Origo, who wrote War in Val d’Orcia, was the inspiration for my character the Marchesa. I also found Tullio Bruno Bertini’s Trapped in Tuscany to be very valuable. It was written by an Italian-American, who visited the area at nine years old, his family then unable to leave, once the German occupation began. His memoir gave me a great sense of daily village life at that time. As for the setting, of course I had originally been there, at the luncheon that inspired the book, so I had a vivid picture of that villa and surrounding area. 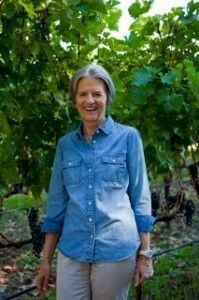 My husband and I also own vineyards and a winery in the Napa Valley, California, so much of the sense of place in the novel comes from my own experience of living in the vineyards and olive groves of our own property. Can you tell us about your next writing project? My first two books were memoirs, and I think I will probably return to that format. I would like to write about the formation of our life in Napa, of our search for land, the renovation of the old stone winery, and about learning what we needed to know to oversee the making of wine. I would like to reflect on my own personal aging process using the imagery of growing grapes and making wine! I would love to write another novel, but I’m waiting for the right inspiration to hit.